We are now located in the Natomas Crossing Business Center, near the corner of Truxel and Arena Blvd. Natomas Optometry is open 6 days a week, with appointments available on Saturday. Call us to make an appointment with our eye doctors to talk about your eyeglasses, contact lenses or specialty lens needs. Or just drop in anytime to browse through our large selection of designer eyeglass frames or sunglasses. Natomas Optometry has proudly been serving the greater Sacramento Area since the year 2000. 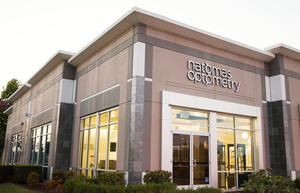 Welcome to Natomas Optometry serving the Sacramento area.